Updates to Gladys' profile since your last visit are highlighted in yellow. I was born on April 28, 1927 at the old Brackenridge Hospital, in Austin, TX, adopted by Swedish couple, Wesley and Agnes Johnson, Member of FEFC youth group as long as I can remember! Confirmed on May 25, 1941 at FEFC on 17th & Colorado Street, Austin, TX., married Herman Frank Hermanson on October 9, 1948 by Pastor Paul Rosell same church. Belonged to youth group, , Sunshine Workers, sang in choir, faithful member. Moved to new church located at 45th & Red River Street, here we had outdoor meetings in the park behind parsonage during the hot summer months; later in ____________moved to Monterrey Oaks. Lots of good memories during those years! Gladys Johnson Hermanson has a birthday today. Gladys Johnson Hermanson added a comment on her Profile. Gladys Johnson Hermanson posted a message. New comment added. Well, Jan, here is a big HAPPY BIRTHDAY to my good Friend, Jan! I hope you have a wonderful happiest birthday you have had this time! My happiest wishes are for you, as always. Have a great time on your birthday and hope your birthday will be one that you remember always! Good luck in everything you do today and always! Have a good day and a great time on this your very special day. Love, as always, Gladys H.
Gladys Johnson Hermanson added a comment on her Profile. New comment added. Gladys Johnson Hermanson added a photo to her profile gallery. New comment added. Gladys Johnson Hermanson changed her "Now" picture. Gladys Johnson Hermanson added a photo to her profile gallery. 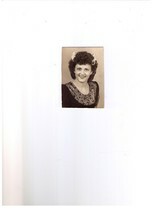 Gladys Johnson Hermanson updated her profile. View. Gladys Johnson Hermanson posted a message. I can't log in tonight?? ?